There are some clothing launches you attend that really blow your mind. Whyte Studio was one of them. 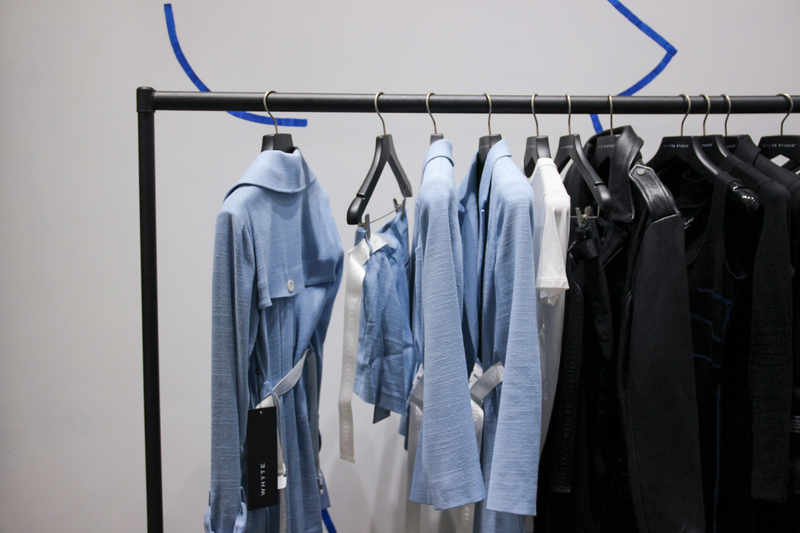 The brainchild of Bianca Whyte, the brand produces luxury, trans-seasonal outerwear released in capsule collections. Previously living in LA and designing for Kardashian Kollection, Cindy Crawford and Kelly Osborne, Bianca also has a history as a champion motorcross rider and spins house music under the alias DJ B Whyte. In her new spring summer collection ‘Whyte Mode’, elements from each of her multi-faceted career can be spotted in the designs. Sleek, stylish dresses and jackets have utilitarian accents like boxy pockets and double-wrapped buckle belts. Strong tailoring is prominent throughout. Skin-tight knitwear cuts close to the body and is finished with contrasting stitch detailing, perfectly paired with a ‘Whyte Mode’ choker and oversized crepe trench. One of our favourite pieces is the ‘Element’ dress, a long-sleeved, short dress with a deep V-neck cinched in at the waist with a signature Whyte Studio buckle belt. Another standout piece is the ‘Platoon‘ jumpsuit, with a dramatic plunge bodice contrasting with wide leg pants. White poppers feature on the side, which can be undone and worn with heels in a nod to the ever-popular sports-luxe trend. 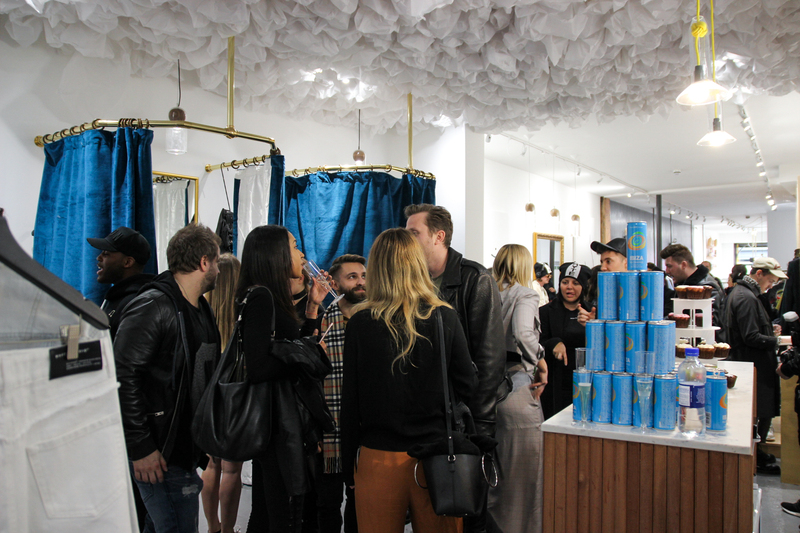 The event was held at Not Just Another Store on Shoreditch High St, with enough Whyte Studio cupcakes and champagne to make Marie Antoinette jealous. You can find Whyte Studio stocked instore there, or online here. Have you visited Plant 4 Bowden yet?